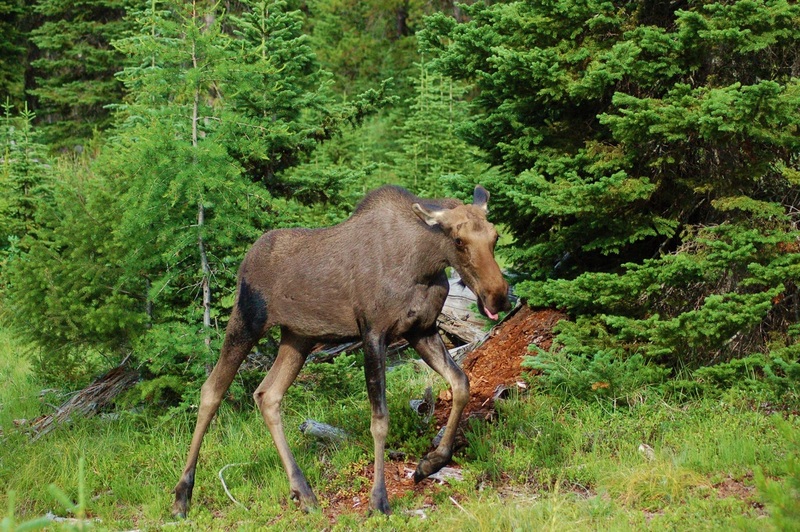 These pictures were taken on our vacation to Montana north of Frenchtown in 2013. 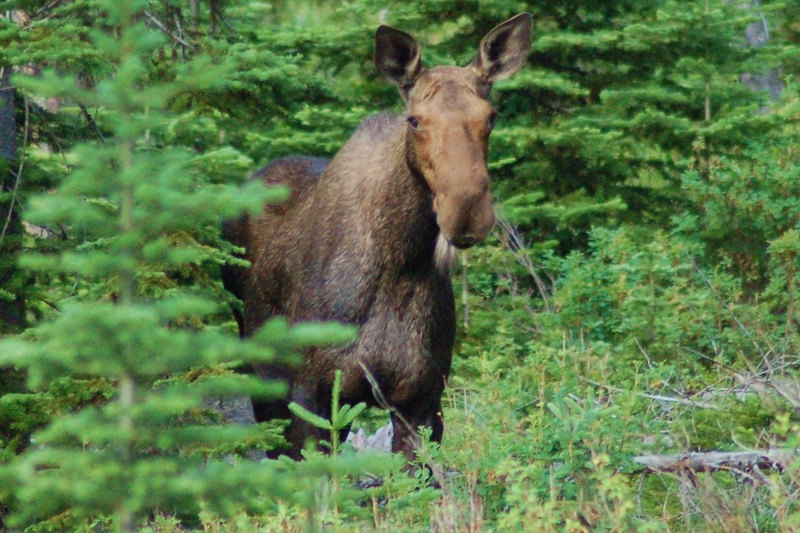 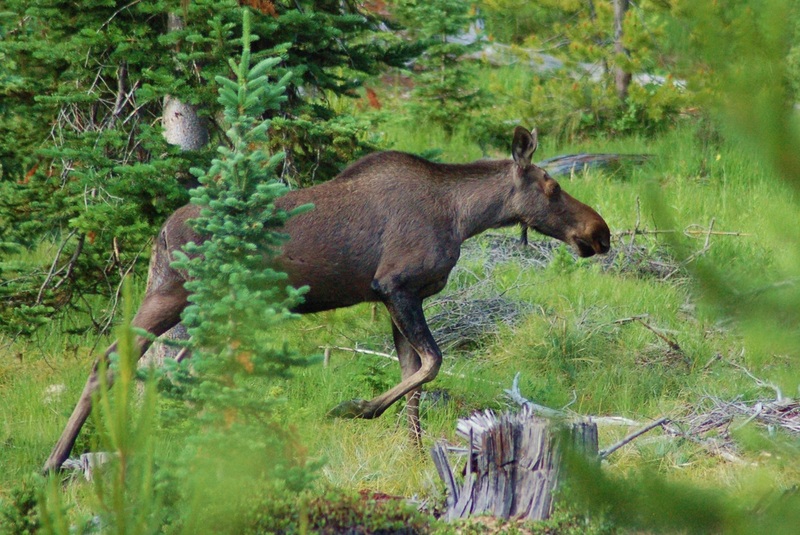 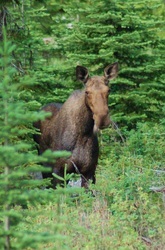 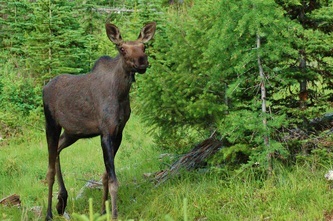 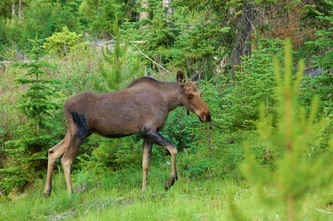 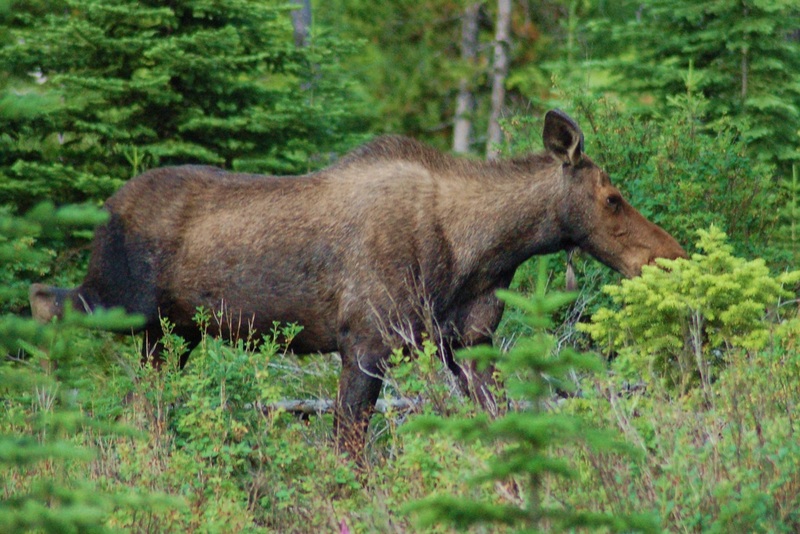 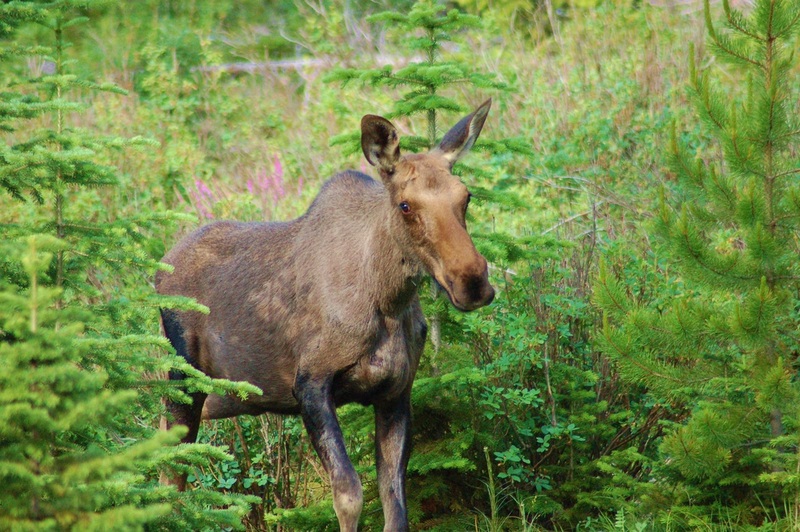 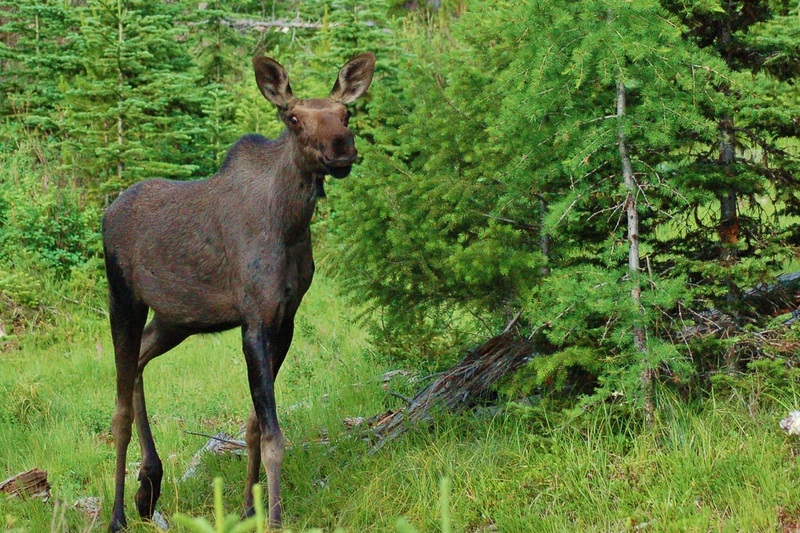 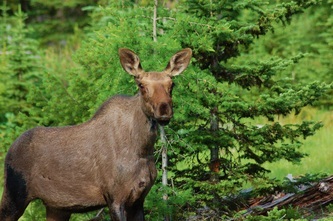 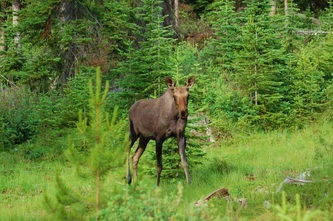 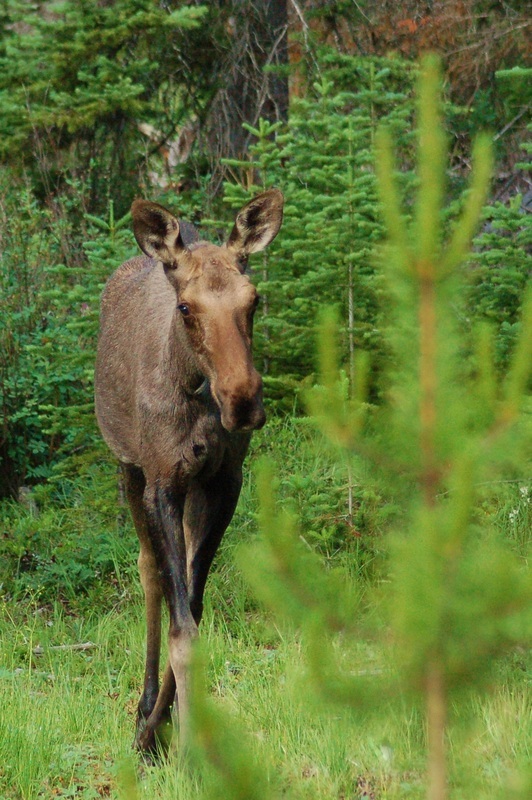 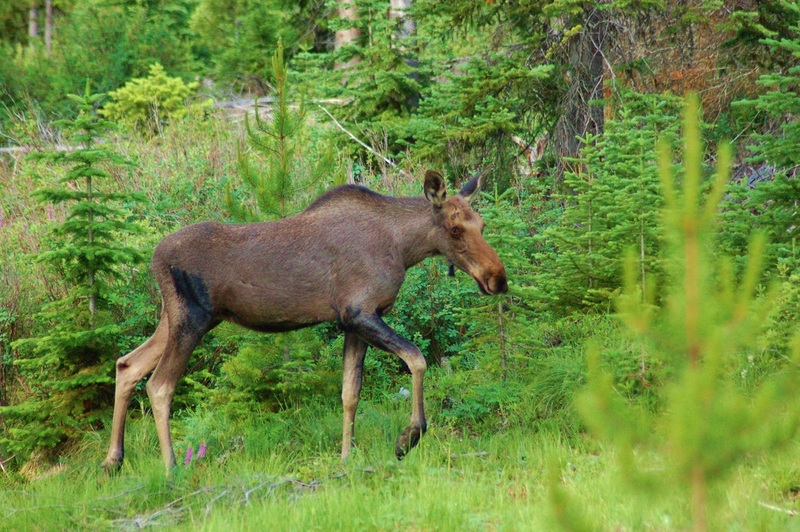 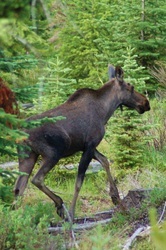 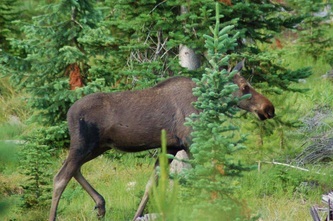 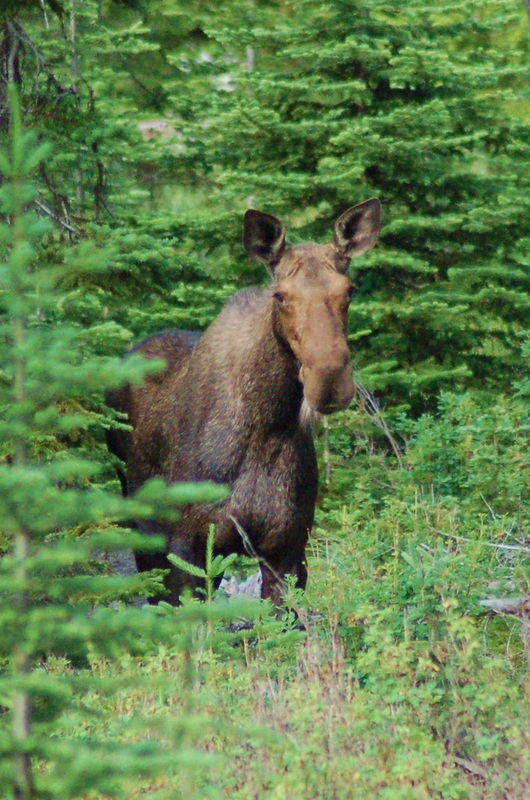 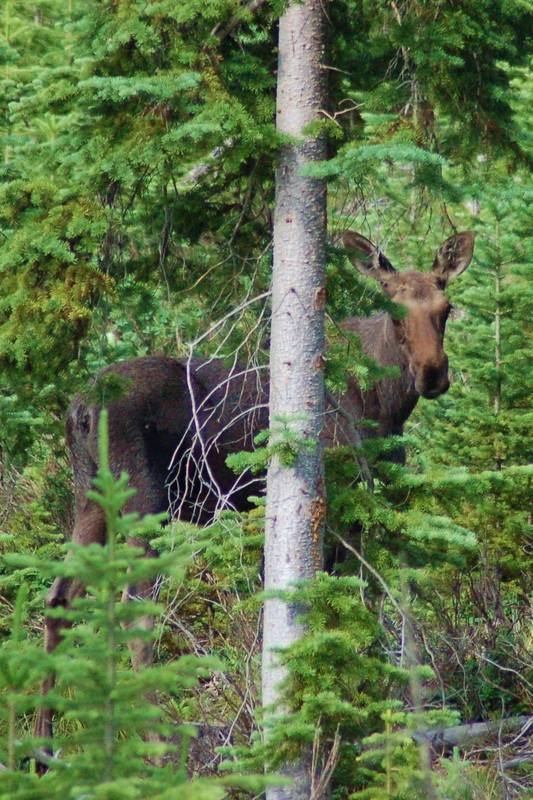 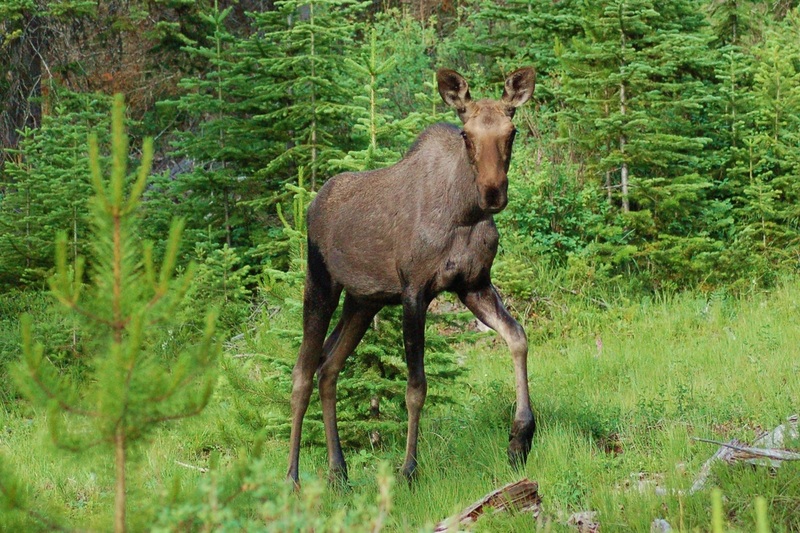 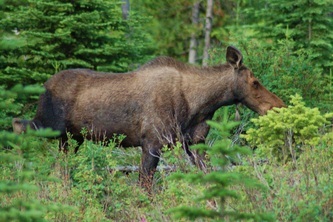 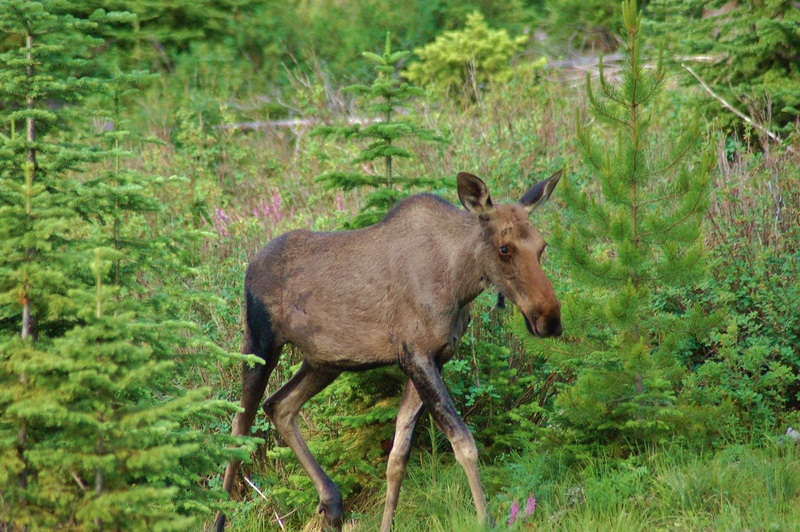 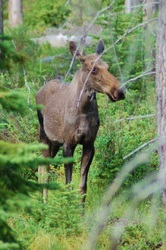 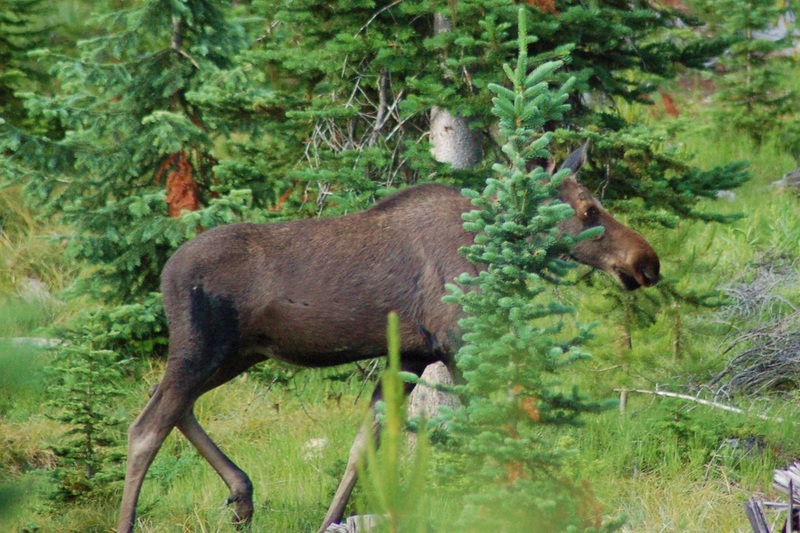 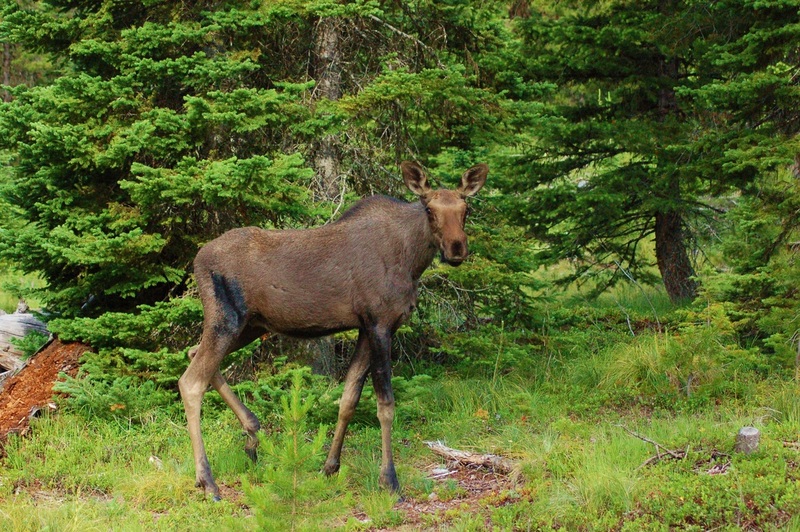 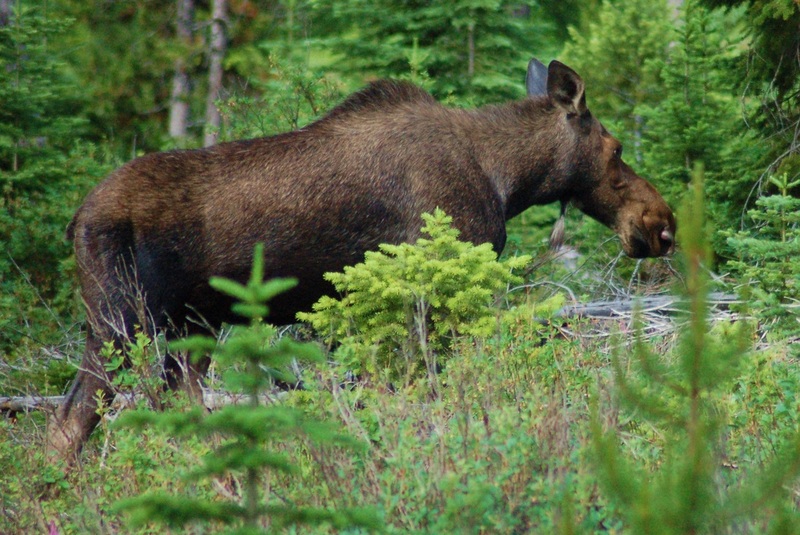 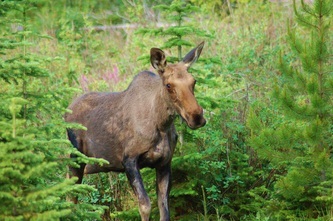 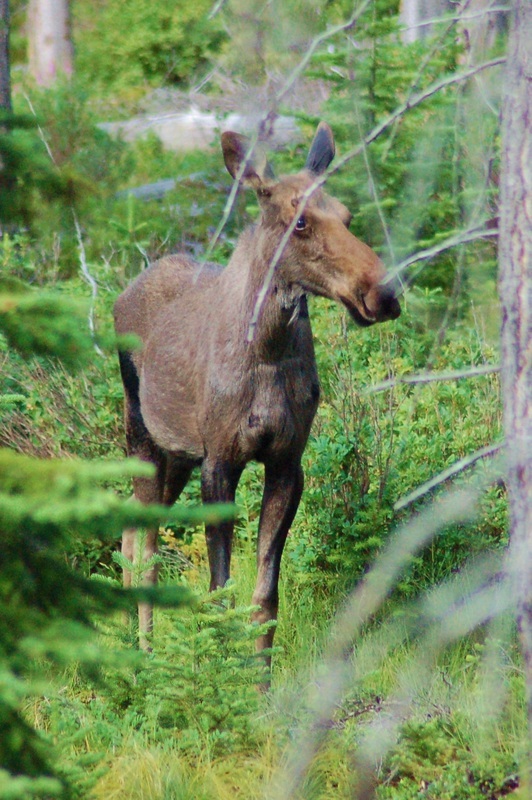 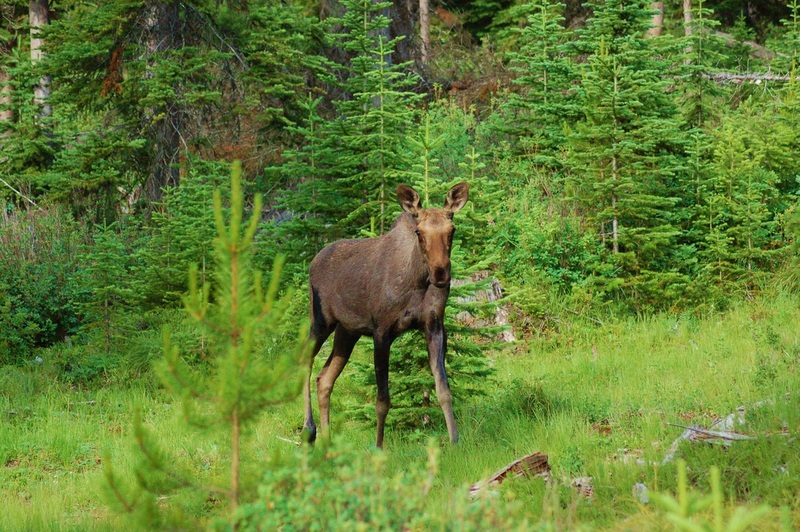 This is a young female moose and her momma that I was able to follow and get some great pictures. 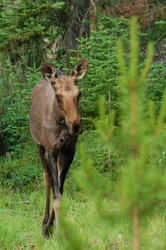 She became curious and approached me. 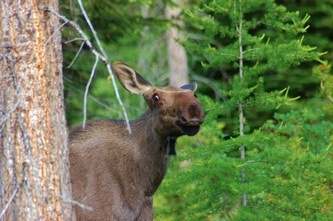 Her momma was not happy about it and stayed in the trees snorting. 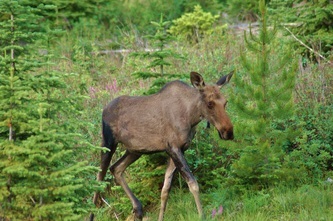 Earlier, on a walk we had spooked the momma and she was very protective of her young one. 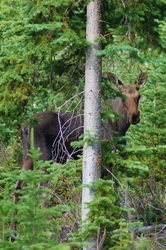 It got a bit scary.